Kavarna Rock Fest changes its location to Veliko Tarnovo? Veliko Tarnovo cultural agenda for this year looks quite promising as usual. The Ludogorie National Folklore Fest known for the large-scale reenactments of traditional Bulgarian weddings from different ethnographic regions is one of the newest and most interesting events this year. It will be held from 17th till 26th June in grounds behind Billa Store where circus coming to Vt are usually setting up their tents. 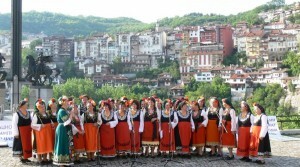 The Ludogorie Fest also combines and shows to the public the Bulgarian traditions in music and cooking. The Transfiguration Festival is another new element in the cultural programme of the Municipality of Veliko Tarnovo. It will be held from 19th till 21th August at the Tsarevets Fortress and Samovodskata Charshia. The most interesting aspect of the cultural calendar has to do with the renowned Kavarna Rock Fest and namely the possibility that it could start taking place in Veliko Tarnovo. Nothing is sure yet as no official documents are signed but talks are underway and there is more than a 50% chance that this could actually happen. If Kavarna Rock Fest moves its venue the event will merge with the traditional Veliko Tarnovo Moto Rock Fest and is will be named Veliko Tarnovo Rock Fest. 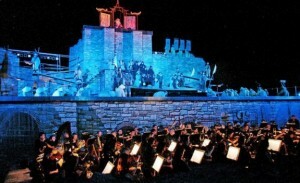 The Stage of the Ages Opera Festival will take place from late July till early August at its usual place –the Tsarevets Fortress; some of the best opera and ballet titles in Bulgaria will be stages as the festival goes. The twentieth edition of the Balkanfolk Festival is to the old capital on May, 12th and will continue up to May, 22nd. More than 16,000 participants are expected to arrive for the event. A total of eight concerts will be presented at the Summer Theatre in Marno Pole Town Park. Summer Puppet Theatre Festival, Historical Reenactments International Festival, Dixie Jazz Fest, Sofia Film Fest, Cultural Tourism Tourist Exhibition, On The East Coast Of Europe Festival are the other highlights listed in the programme that we are looking to.